Last year, Alexa Chung launched her fashion brand, which was every bit as chic as we'd imagined, but it also featured an unexpected dress trend: the blue brocade minidress with a mandarin collar and pearl detailing. For some background, Alexa's website explains the history of this dress style: "The cheongsam is a type of body-hugging one-piece Chinese dress for women, created in Shanghai in the 1920s and favoured by the social elite. 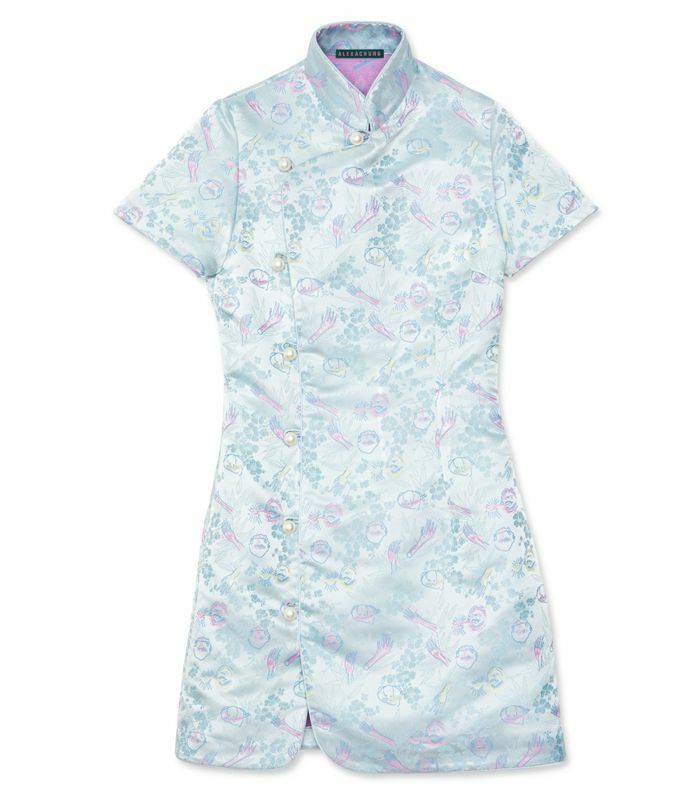 History lesson over, this collared dress makes Chinese tradition accessible, current and more importantly stylish." This dress style was a favourite in the '90s and was worn by everyone from Geri Halliwell to Kate Moss to Rachel Green in Friends. More recently, we noticed this as a fresh addition to the street style scene. 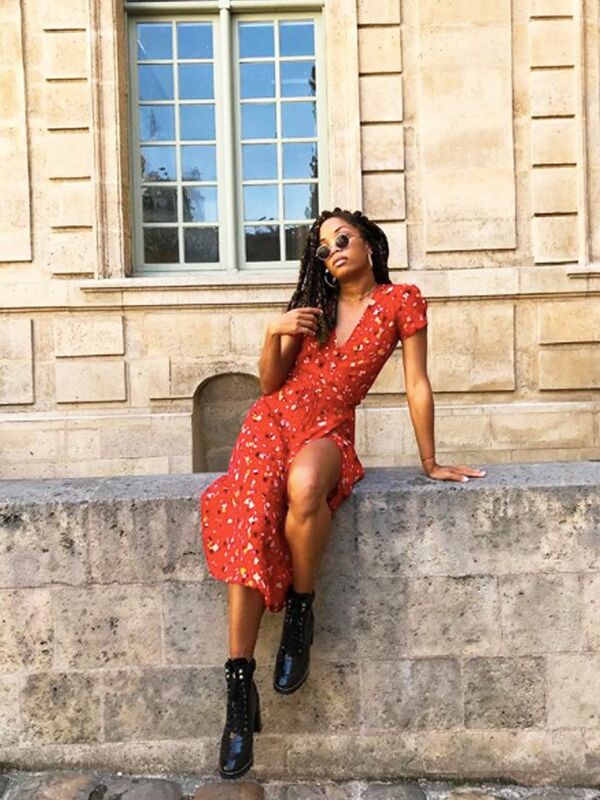 Alexa's dress is luckily still in stock (and in the sale), and a few of our other favourite retailers—think Attico, ASOS and De La Vali—have all have created equally chic styles, all available to buy and wear right now. Scroll below to shop our edit of the best around right now. We love Alexa Chung's version. Of course ASOS is in on the trend. Perfect for right now with tights. So good we've included the seller twice. Attico has your investment option. Just add gold heels and supersized earrings. This wrap-style from Rixo is perfect for wedding guest dressing but will look every bit as chic with white ankle boots and an oversized denim jacket. Next up, discover the best spring/summer 2018 fashion trends.